Baltasar Kormákur's deeply flawed Contraband suffers wildly from poor directing and editing, a surprise given that the director's 2006 outting, Jar City, was tightly wound in both of those respects. Gone too in Contraband is the hard edge of Kormákur's previous work. This being strictly blockbuster-only fare, acceptable enough of story had it not been for the crippling problems Contraband faces at every turn. Not least of these problems is the cast. Mark Wahlberg (who also produces and hand-picked Kormákur: much of the projects' failings must be laid at his feet) is as solid as ever but he surrounds himself with three snivelling grotesques as bad guys/mildly flawed men. In Ben Foster, Giovanni Ribisi and Caleb Landry Jones, Contraband finds itself lacking a solid villain and over-run by snot-nosed sideshows, more at home as comfortably obtuse side-players than forward facing pieces of main interest. Foster is marginally better than the other two (Jones is awful) but his character's motivations are so murky it is difficult to care. Kate Beckinsale gets an interesting character (for once, the female lead is given enough intelligence to be party to her male counterpart's crimes) but gives out, as so often, merely blank canvas. Things take a turn for the chaotic when the plot decides to marginalise Wahlberg to a boat for far too long. 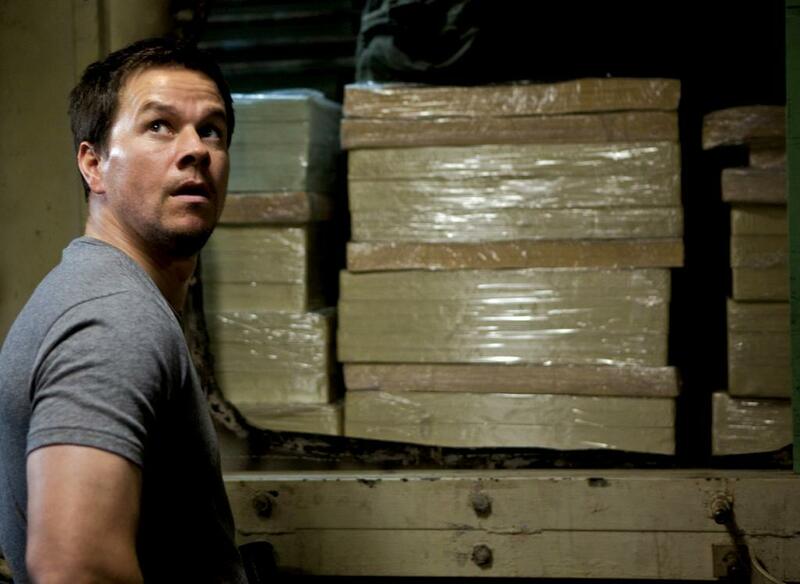 Aaron Guzikowski's screenplay becomes a series of long distance phonecalls and the onscreen action is forced to merely be concerned with Chris Farraday's (Wahlberg) anonymous band of smugglers. Anonymous that is apart from Andy (Landry Jones), who the main character should have shot in the first reel, saving us all the deeply boring trouble of experiencing this over-praised mess. This post in association with Zavvi. I had the misfortune of watching this mess after my girlfriend brought it home. Within seconds of it starting, I detected an almost identical beginning to GONE IN 60 SECONDS. Then it just got progressively worse from there... Minimal suspense, barely tolerable characters and next to no surprises whatsoever. Completely agree with all of that. It really has very little to offer. Gone In 60 has some passable charm of some sort or another. This has nothing.